Soyela Shafer has been practicing since 2008 and truly believes in the power of change that yoga creates. and practice is not restricted to just a yoga mat but she also continues to grow positively every day, on land, on the water and experiencing life everywhere she goes. Soyela is a Registered 200 hr Yoga Instructor and became certified through Whole Yoga in Colorado. Following her certification she moved to Shoshoni yoga retreat to deepen her spirit through volunteer work and teaching yoga. Soyela has a strong focus on Holistic Health, Homeopathic Medicine and nutrition. Through her practice she has become a stand up paddle board and hula hoop yoga instructor. She also has also become a slackline yoga and acro yoga instructor. 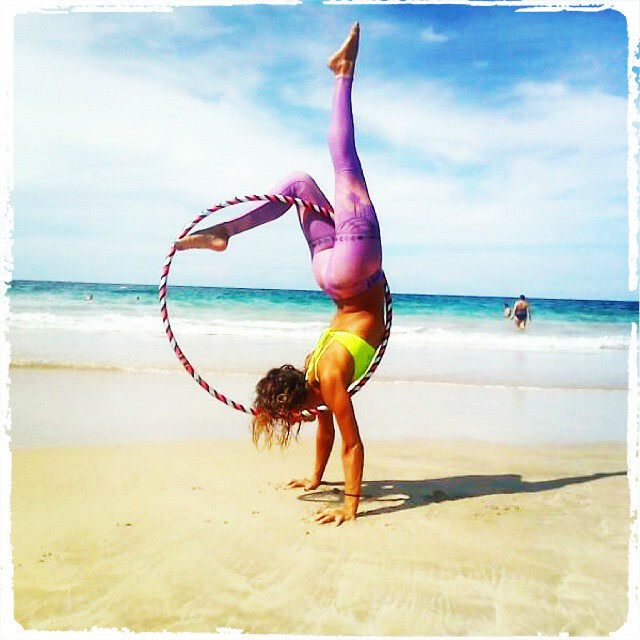 She has a very playful spirit and will most likely persuade you to join her on a hula hoop hike or on a surfing excursion. Through her experiences and practices she has endeavored to establish The Grounded Way, a traveling yoga retreat and wellness foundation dedicated to promoting health and wellness, to not only those joining a retreat but to also support local communities with supplies for fitness, playful activities and free classes of all kinds. She runs retreats aiming to create a community, to feel at home, to be open and to celebrate health together. Soyela gives private yoga lessons varying in private clientelle, including those with chronic diseases or those just looking to bring peace, calm and balance into their life. Her classes are never the same always flowing with the new day, to each persons individual movements and practice. She deeply believes in focusing on proper alignment, breath and graceful movements to protect you from any injuries. She caters to all levels of yoga and you will find after a class your whole body was moved and will be open for the day. In Soyela’s classes she may be serving up shots of coconut water in her Happy Hour class, flying you in her circus yoga themed workshops, calming and restoring your energy through Restorative yoga and implementing journal writing before and after class as writing is a wonderful form of letting go of energies that do not serve you. No matter what class or workshop you join with Soyela you will most definitely connect and transform. She gives holistic health consultations to help deepen your practice and understand your body so that you may go to depths unknown within yourself. Life Is So Great. Live it to your fullest dreams! http://whataboutyoga.wordpress.com – What about Yoga? Hi my friends! This is my site about Yoga.